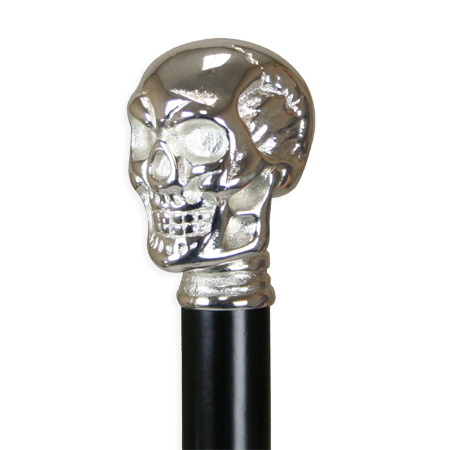 Whether you stroll in the sunlight or take a walk on the wildside, our Silver Skull Cane will assure you are the epitome of elegance. The heavy knob-style handle (3”h x 2”w) is cast to resemble a human skull and is finished in bright, silvery chrome. A 36-inch shaft crafted from fine hardwood is painted in black and the removable rubber safety tip may be removed to adjust height.